Summary: UC Berkeley’s School of Law dean and Board of Regents is facing a lawsuit for things including sexual harassment and retaliation. The dean at University of California at Berkeley School of Law has been hit with a sexual harassment lawsuit by his executive assistant. Tyann Sorrell claims Sujit Choudhry regularly hugged, kissed, and touched her soon after he became the law school’s dean in 2014. She also names the University of California Board of Regents in her complaint. Click here to read a copy of the complaint she filed. 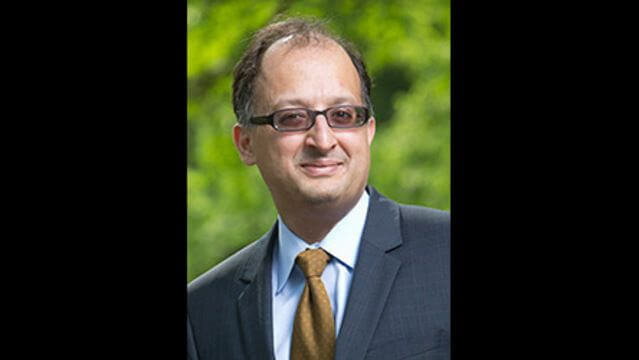 Read Dean Accused of Sexual Harassment Takes Leave of Absence from Law School. The lawsuit details that Choudhry would rub her shoulder and arms, kiss her cheeks, and give her bear hugs that would press his body against hers. The document states, “Choudhry’s kissing and hugging plaintiff was a near daily occurrence” which made her feel “disgusted, humiliated, exposed and dirty.” The lawsuit claims sexual harassment, retaliation, and failure to prevent sexual harassment and retaliation and other charges. Sorrell claims that when she told supervisors about being sexually harassed, they failed to do anything to stop it and even attempted to stop her from complaining. See Harvard Law Fails to Adequately Handle Sexual Harassment Complaints for information on other law schools that have sexual harassment problems. Read Thomas Jefferson School of Law now sued for sexual harassment. She cites a history of domestic and sexual abuse causing her to suffer from “insomnia, hair loss, depression and anxiety.” By March 2015, she had “had enough” and sent Choudhry a six-page email, forwarding it to human resources as well. UC Berkeley’s Office for the Prevention of Harassment and Discrimination found that he had violated the university’s policy on sexual harassment and violence in July. His salary was reduced by 10 percent for a year and was ordered to write an apology letter to Sorrell.